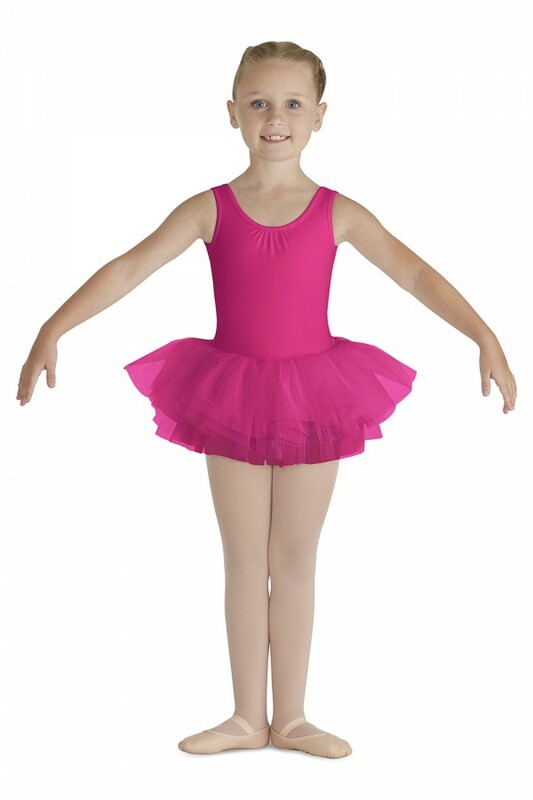 This girl's style is tutu cute! 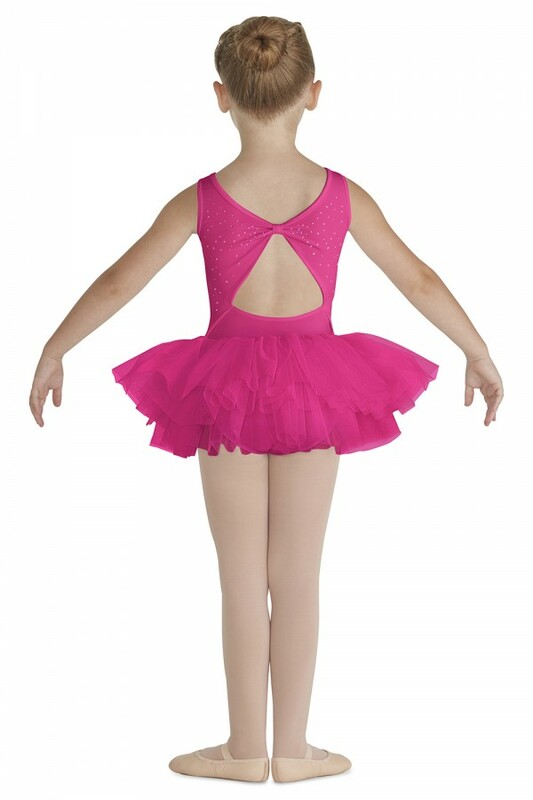 Open bow back features sparkly diamante spray. 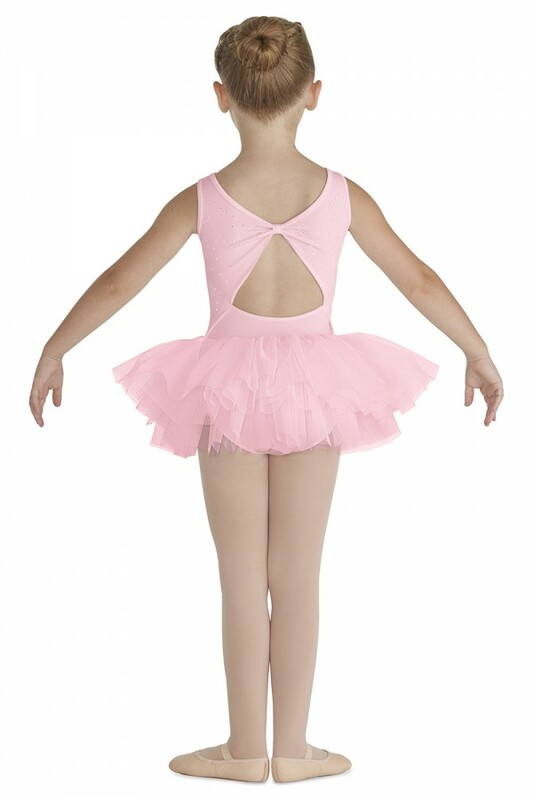 Perfect for your little princess in class and recitals. An attached tutu skirt crafted with graduating layers of soft tulle, creating a full and voluminous traditional ‘tutu look’. 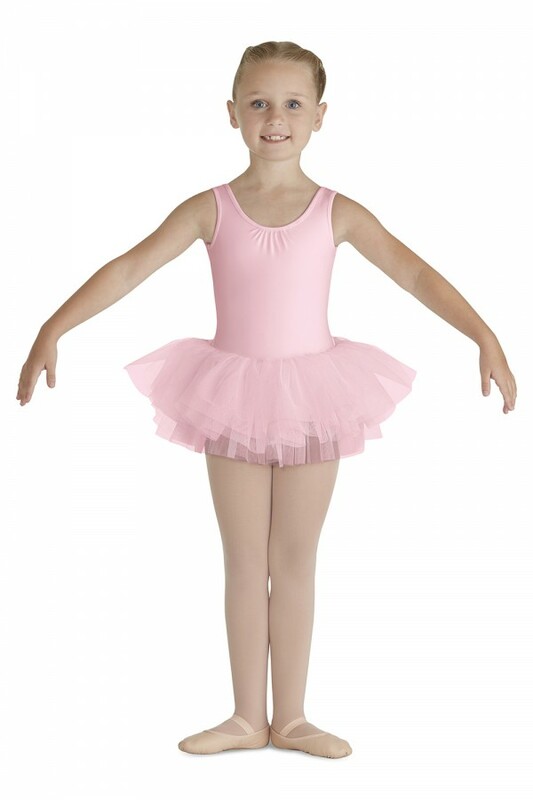 An all in one piece which is easy for a young dancer to wear comfortably over a pair of ballet tights.